Recently, I decided to help a friend out with her daughter’s 7th birthday party. She went with a Monster High theme, which seems to be somewhat popular for girls her age (so I’m told). 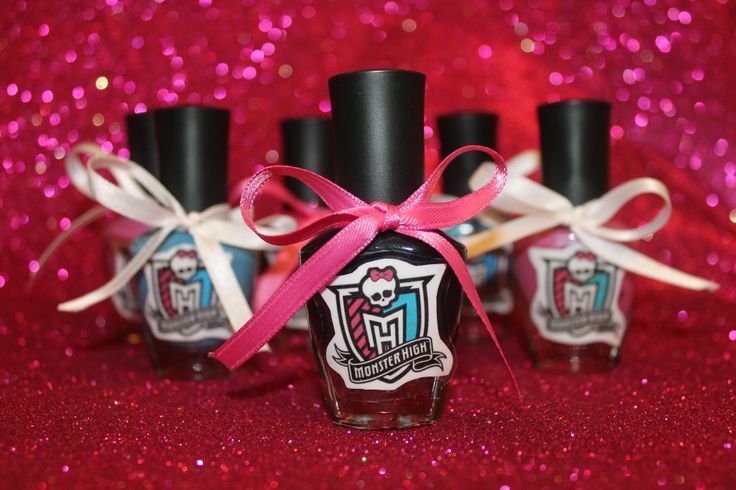 She hosted it at a nail salon after hours for a small group of girls (awesome idea). 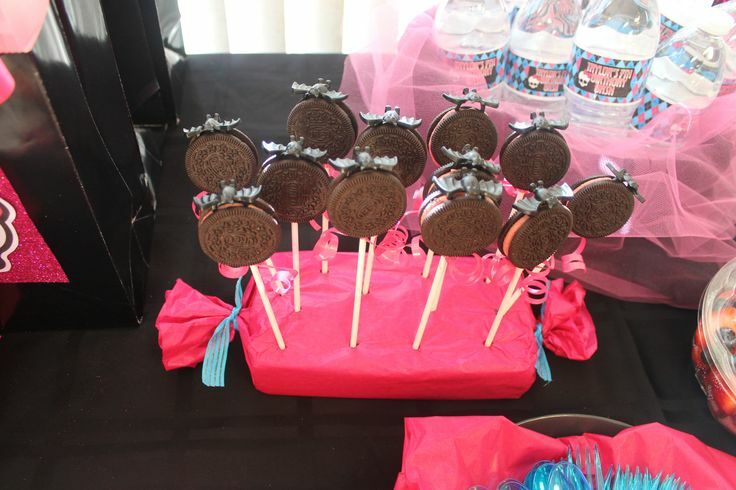 My job was to plan the decorations and make the goody bags to match the theme. 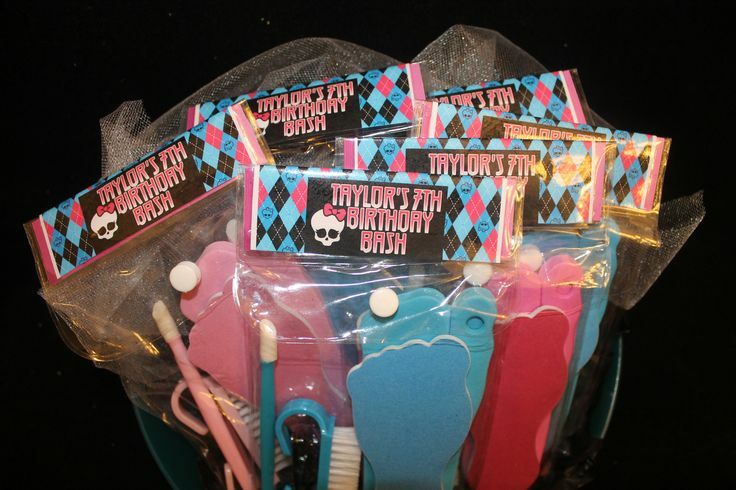 Many of the items were purchased at the local dollar store and simply personalized with the Monster High colors. 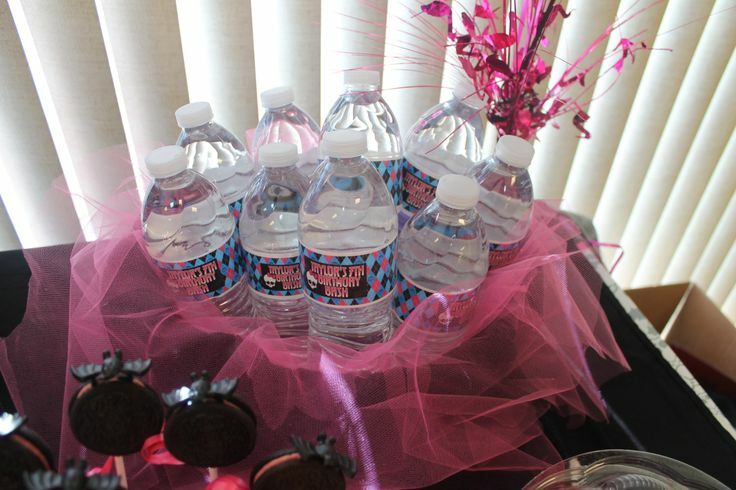 Since it was a spa theme, many of the goody bag items were centered around that theme. Gifts inside included a nighttime eye mask, shower puff, chap stick, nail polish and kit, colorful comb, washcloth, monster high stickers and a color hair extension (it’s a monster high thing). 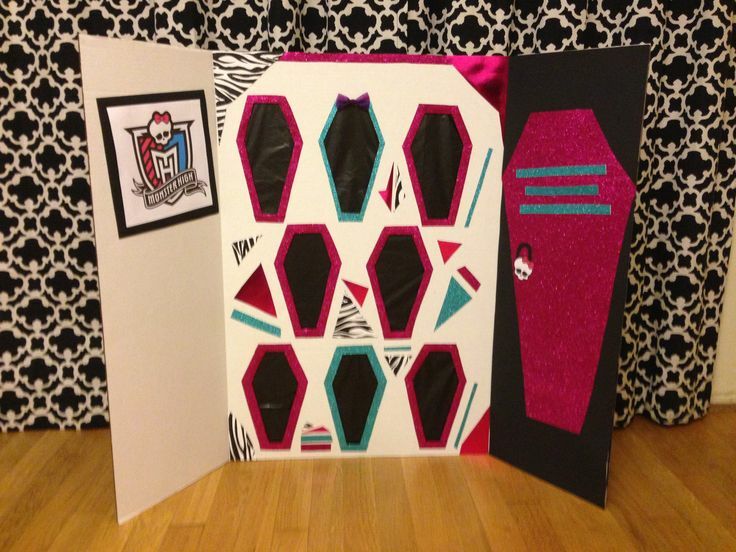 I also created a punch board game, of course with the Monster High theme which actually turned out pretty cool. For a small group in a small space, it was perfect. I simply used a tri-fold poster board and cut out the shapes. You can pretty much tailor it to whatever theme, but would need a larger board for more guests. 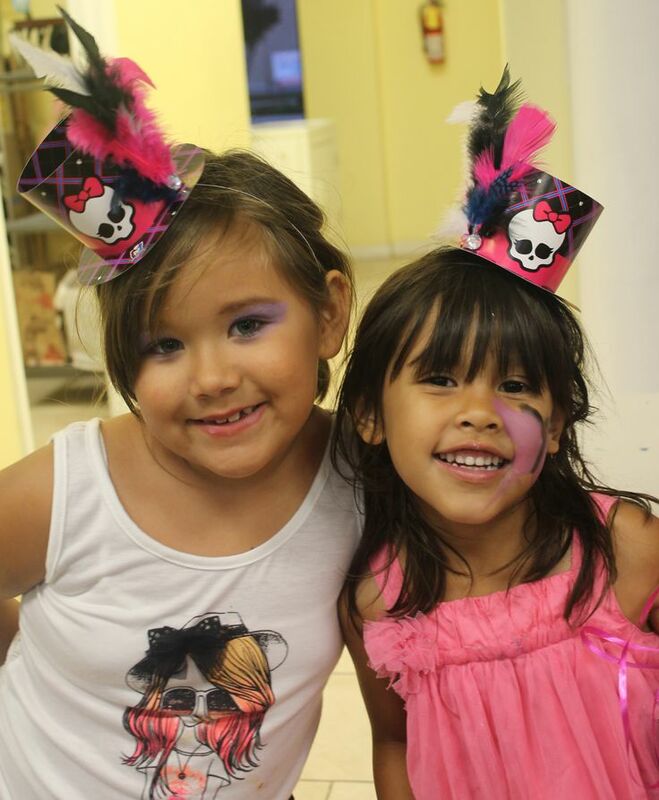 When it comes to little girl parties, I think that adding ribbon, sparkles and sometimes feathers is all you need. 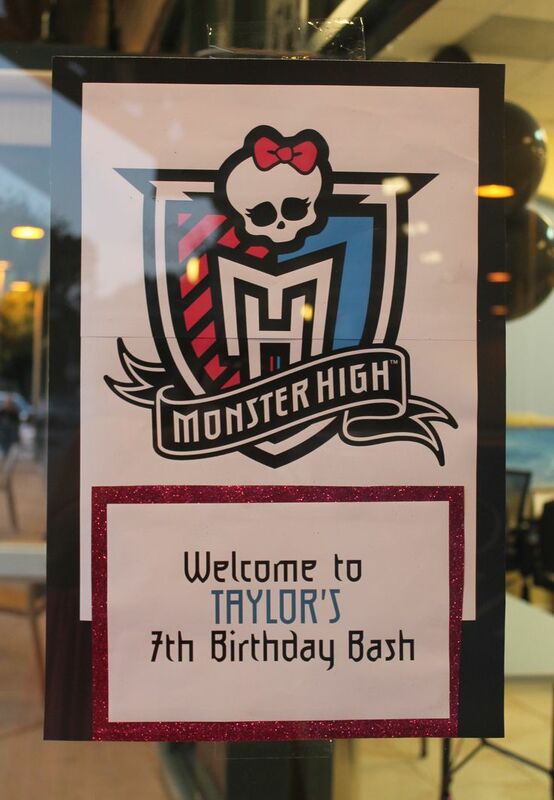 Happy 7th Birthday Taylor! Get ready for girly-ness at its best. Follow this board on Pinterest!